Secretly, behind closed doors and guarded portals, the mysterious Black Power of Zaava spread its hidden terror throughout America. What evil force was behind the destruction of churches; the wholesale disappearance of entire congregations? What sinister spell had fallen upon American men and women to make them hurl themselves into white-hot flaming furnaces? 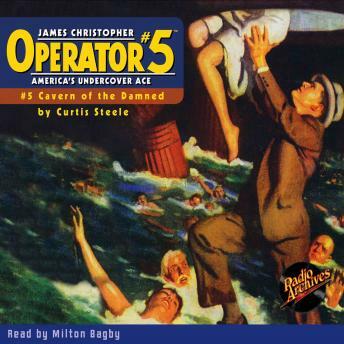 A trap worse than death is laid for Operator #5 when, in a final effort to combat this monstrous hidden power, he makes his way alone into the Cavern of the Damned!